And accept it that soon you’ll be drenched to the bone. “My point would be that there’s nothing in the ice core that gives us any cause for comfort,” said Dr Eric Wolff from the British Antarctic Survey (BAS). 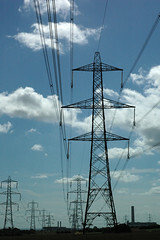 “There’s nothing that suggests that the Earth will take care of the increase in carbon dioxide. Yes, surely! and if others can see it as I have seen it, then it may be called a vision rather than a dream. It is because everything I have fought for and that all campaigners for social justice have ever fought for – food, clean water, shelter, security – is jeopardised by climate change. Those who claim to identify a conflict between environmentalism and humanitarianism have either failed to read the science or have refused to understand it. Bob DYLAN, The Times They Are A-Changin’ (1963). Alice ROSS, photograph: Kingsnorth coal and oil-fired power station, England (2008). 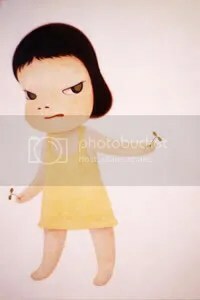 Yoshitomo NARA, sprout the ambassador (2001). Dougie MACLEAN, Caledonia (1979). 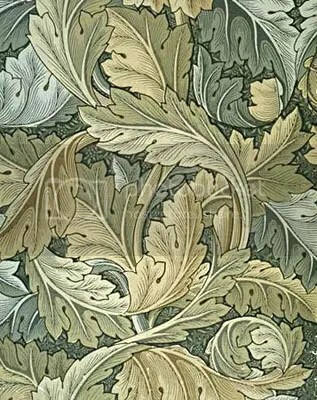 William MORRIS, Acanthus wallpaper (1875). William MORRIS, News from Nowhere (1890). 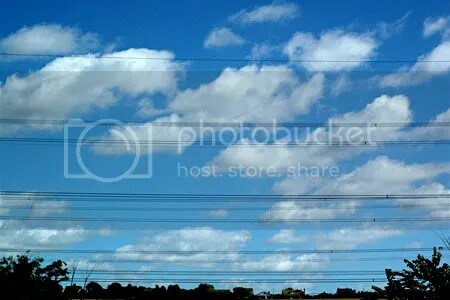 Alice ROSS, photograph: skies above Kingsnorth crossed by power lines (2008). George MONBIOT, The stakes could not be higher. Everything hinges on stopping coal (2008).